The Call for Papers (CFP) is the foundation of your event. 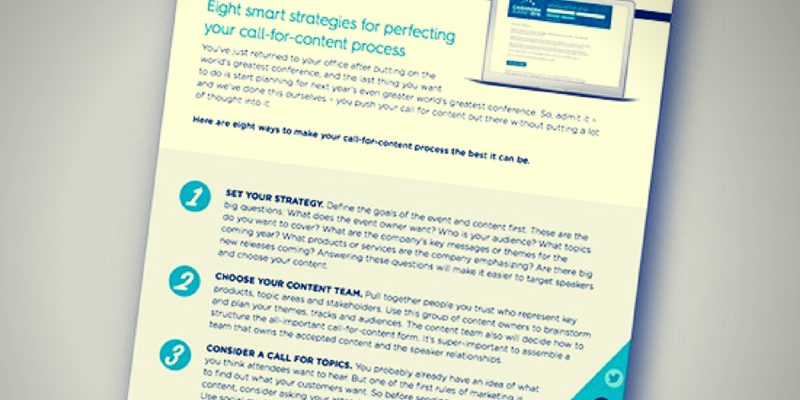 If you do it right, you will attract expert speakers and serve as a blueprint for the event as you build a content program that fits your strategic vision. Expert speakers attract high-quality attendees and top sponsors – it’s critical to start out on the right foot!